State’s actual losses in the August floods are much higher than the World Bank’s estimate of Rs 20,050 crore, Chief Minister Pinarayi Vijayan has said. 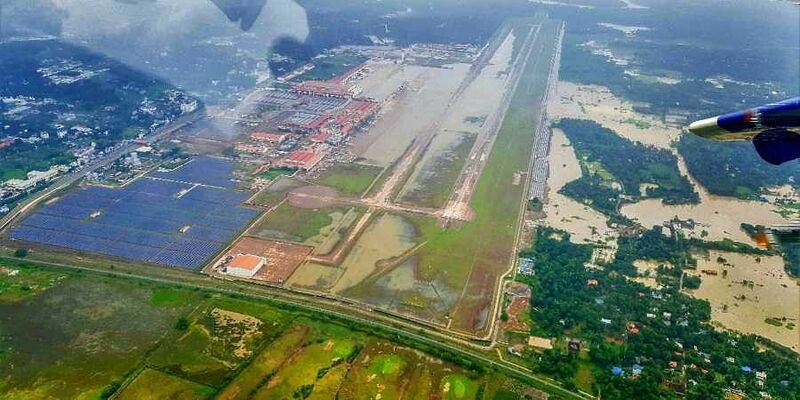 Aerial photo of Kerala floods. (Photo | PTI). THIRUVANANTHAPURAM: State’s actual losses in the August floods are much higher than the World Bank’s estimate of Rs 20,050 crore, Chief Minister Pinarayi Vijayan has said. Damages to houses alone would be Rs 2,534 crore. A hefty amount is required for the reconstruction or maintenance of houses. Huge losses were incurred due to the death of hens, domestic animals like cows and goats, said the CM during the weekly TV interaction titled “Naam Munnott”.Pinarayi said the Central Government assistance is not sufficient to cover the losses, hence the state has demanded special package of Rs 500 crore. The state opted for seeking donations since the loans would not be sufficient to undertake reconstruction and rehabilitation works. The Centre has not changed its stance on foreign assistance, but has allowed the state to collect donations from NRKs.